CEDAR CITY — The Iron County Care and Share is asking for food donations to help fill the empty shelves of the community pantry. The Care and Share has partnered with the Iron County School District, and donations are being accepted at any school district campus starting Monday and running through Oct. 5. Donations can also be dropped off at the pantry, located at 222 W. 900 North in Cedar City, from 9 a.m. to 4 p.m. Monday through Thursday. Iron County School District locations can be found on the district website. Items in high need are tuna, peanut butter, canned fruit, meat and stews, cereal and crackers; however, pantry manager Chris Simms said they also welcome home-grown vegetables and fruits. “We have new refrigerators gifted by the Cedar City Hospital ready and waiting for nutritious produce,” Simms said. Organizations may request to host a food drive and team members at Care and Share will help set-up and collect the food donated. Request form can be found online. Iron County Care and Share is a local, private nonprofit dedicated to providing compassionate assistance and resources to individuals and families in need, offering them opportunities to increase their stability and self-sufficiency. Founded in 1984 by local community leaders seeking to address the issues of hunger and poverty among residents in Southern Utah, Iron County Care and Share restores hope and dignity to families experiencing a housing- or hunger-related crisis. 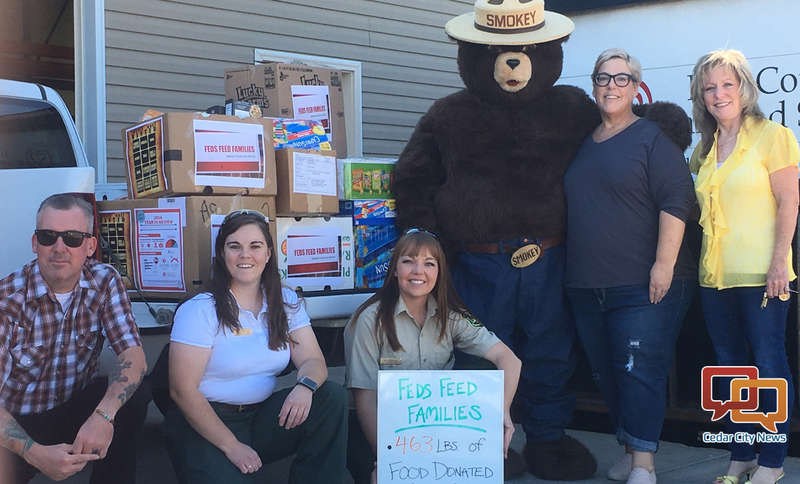 Iron County Care and Share today owns and operates the largest food pantry in the Iron County region, distributing over 800,000 pounds of food each year to more than 1,500 food insecure households. The 34-bed emergency shelter provides safe shelter and warm meals for homeless men, women and children; more than 400 individuals sought shelter with Care and Share in 2015.